The Last Spin was published in the magazine, Manhunt in September, 1956, earning an Edgar Award for best short story. The boy sitting opposite him was his enemy. The boy sitting opposite him was called Tigo, and he wore a green silk jacket with an orange stripe on each sleeve. The jacket told Danny that Tigo was his enemy. The jacket shrieked, "Enemy, enemy!" "This is a good piece," Tigo said, indicating the gun on the table." This runs you close to forty-five bucks, you try to buy it in a store. That's a lot of money." 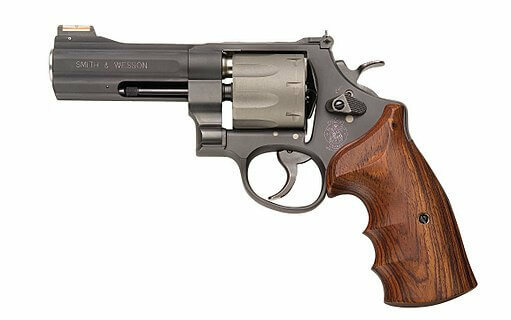 The gun on the table was a Smith & Wesson .38 Police Special. It rested exactly in the center of the table, its sawed-off, two-inch barrel abruptly terminating the otherwise lethal grace of the weapon. There was a checked walnut stock on the gun, and the gun was finished in a flat blue. Alongside the gun were three .38 Special cartridges. Danny looked at the gun disinterestedly. He was nervous and apprehensive, but he kept tight control of his face. He could not show Tigo what he was feeling. Tigo was the enemy, and so he presented a mask to the enemy, cocking one eyebrow and saying, "I seen pieces before. There's nothing special about this one." "Except what we got to do with it," Tigo said. Tigo was studying him with large brown eyes. The eyes were moist-looking. He was not a bad-looking kid, Tigo, with thick black hair and maybe nose that was too long, but his mouth and chin were good. You could usually tell a cat by his mouth and his chin. Tigo would not turkey out of this particular rumble. Of that, Danny was sure. "Why don't we start?" Danny asked. He wet his lips and looked across at Tigo. "You understand," Tigo said, "I got no bad blood for you." "I understand." "This is what the club said. This is how the club said we should settle it. Without a big street diddlebop, you dig? But I want you to know I don't know you from a hole in the wall-except you wear a blue and gold jacket." "And you wear a green and orange one," Danny said," and that's enough for me." "Sure, but what I was trying to say..."
"We going to sit and talk all night, or we going to get this thing rolling?" Danny asked. "What I'm tryin to say," Tigo went on, "is that I just happened to be picked for this, you know? Like to settle this thing that's between the two clubs I mean, you got to admit your boys shouldn't have come in our territory last night." "I got to admit nothing," Danny said flatly. "Well, anyway, they shot at the candy store. That wasn't right. There's supposed to be a truce on." "So like... like this is the way we agreed to settle it. I mean, one of us and... and one of you. Fair and square. Without any street boppin', and without any law trouble." "Let's get on with it," Danny said. "I'm trying to say, I never even seen you on the street before this. So this ain't nothin' personal with me. Whichever way it turns out, like..."
"I never seen you neither," Danny said. Tigo stared at him for a long time. "That's cause you're new around here. Where you from originally?" "My people come down from the Bronx." "You got a big family?" "A sister and two brothers, that's all." "Yeah, I only got a sister." Tigo shrugged. "Well." He sighed. "So." He sighed again. "Let's make it, huh?" Tigo picked up the gun, and then he took one of the cartridges from the table top. He broke open the gun, slid the cartridge into the cylinder, and then snapped the gun shut and twirled the cylinder. "Round and round she goes," he said, "and where she stops, nobody knows. There's six chambers in the cylinder and only one cartridge. That makes the odds five-to-one that the cartridge'll be in firing position when the cylinder stops whirling. You dig?" "I'll go first," Tigo said. Danny looked at him suspiciously. "Why?" "You want to go first?" "I'm giving you a break." Tigo grinned. "I may blow my head off first time out." "Why you giving me a break?" Danny asked. Tigo shrugged. "What the hell's the difference?" He gave the cylinder a fast twirl. "The Russians invented this, huh?" Danny asked. "I always said they was crazy bastards." "Yeah, I always..." Tigo stopped talking. The cylinder was stopped now. He took a deep breath, put the barrel of the .38 to his temple, and then squeezed the trigger. The firing pin clicked on an empty chamber. "Well, that was easy, wasn't it?" he asked. He shoved the gun across the table. "Your turn, Danny." Danny reached for the gun. It was cold in the basement room, but he was sweating now. He pulled the gun toward him, then left it on the table while he dried his palms on his trousers. He picked up the gun then and stared at it. "It's a nifty piece," Tigo said. "I like a good piece." "Yeah, I do too," Danny said. "You can tell a good piece just by the way it feels in your hand." Tigo looked surprised. "I mentioned that to one of the guys yesterday, and he thought I was nuts. "Lots of guys don't know about pieces," Danny said, shrugging. "I was thinking," Tigo, said, "when I get old enough, I'll join the Army, you know? I'd like to work around pieces." "I thought of that, too. I'd join now only my old lady won't give me permission. She's got to sign if I join now." "Yeah, they're all the same," Tigo said smiling. "Your old lady born here or the old country?" "The old country," Danny said. "Yeah, well you know they got these old-fashioned ideas." "I better spin," Danny said. Danny slapped the cylinder with his left hand. The cylinder whirled, whirled, and then stopped. Slowly, Danny put the gun to his head. He wanted to close his eyes, but he didn't dare. Tigo, the enemy, was watching him. He returned Tigo's stare, and then he squeezed the trigger. His heart skipped a beat, and then over the roar of his blood he heard the empty click. Hastily, he put the gun down on the table. "Makes you sweat, don't it?" Tigo said. Danny nodded, saying nothing. He watched Tigo. Tigo was looking at the gun. "Me now, huh?" Tigo said. He took a deep breath, then picked up the .38. He twirled the cylinder, waited for it to stop, and then put the gun to his head. "Bang!" Tigo said, and then he squeezed the trigger. Again the firing pin clicked on an empty chamber. Tigo let out his breath and put the gun down. "I thought I was dead that time," he said. "I could hear the harps," Danny said. "This is a good way to lose weight, you know that?" Tigo laughed nervously, and then his laugh became honest when he saw Danny was laughing with him. "Ain't it the truth?" You could lose ten pounds this way." "My old lady's like a house," Danny said laughing. "She ought to try this kind of a diet." He laughed at his own humor, pleased when Tigo joined him. "That's the trouble," Tigo said. "You see a nice deb in the street, you think it's crazy, you know? Then they get to be our people's age, and they turn to fat." He shook his head. "You got a chick?" Danny asked. "Aw, you don't know her." "Maybe I do," Danny said. "Her name is Juana." Tigo watched him. "She's about five-two, got these brown eyes..."
"I think I know her," Danny said. He nodded. "Yeah, I think I know her." "She's nice, ain't she?" Tigo asked. He leaned forward, as if Danny's answer was of great importance to him. "Yeah she's nice," Danny said. "Yeah. Hey maybe sometime we could..." Tigo cut himself short. He looked down at the gun, and his sudden enthusiasm seemed to ebb completely. "It's you turn," he said. "Here goes nothing," Danny said. He twirled the cylinder, sucked in his breath, and then fired. The emptily click was loud in the stillness of the room. "We're pretty lucky, you know?" Tigo said. "We better lower the odds. The boys won't like it if we..." He stopped himself again, and then reached for one of the cartridges on the table. He broke open the gun again, slipped in the second cartridge into the cylinder. "Now we got two cartridges in here," he said. "Two cartridges, six chambers. That's four-to-two. Divide it, and you get two-to-two." He paused. "You game?" "That's... that's what we're here for, ain't it?" "Gone," Tigo said, nodding his head. "You got courage, Danny." "You're the one needs the courage," Danny said gently. "It's your spin." "Tigo lifted the gun. Idly, he began spinning the cylinder. "You live on the next block, don't you?" Danny asked. "Yeah." Tigo kept slapping the cylinder. It spun with a gently whirring sound. "That's how come we never crossed paths, I guess. Also, I'm new on the scene." "Yeah, well you know, you get hooked up with one club, that's the way it is." "You like the guys on you club?" Danny asked, wondering why he was asking such a stupid question, listening to the whirring of the cylinder at the same time. "They're okay." Tigo shrugged. "None of them really send me, but that's the club on my block, so what're you gonna do, huh?" His hand left the cylinder. It stopped spinning. He put the gun to his head. Tigo looked puzzled. "What's the matter?" "Nothing. I just wanted to say... I mean..." Danny frowned. "I don't dig too many of the guys on my club, either." Tigo nodded. For a moment, their eyes locked. Then Tigo shrugged, and fired. The empty click filled the basement room. "Man, you can say that again." Tigo slid the gun across the table. Danny hesitated an instant. He did not want to pick up the gun. He felt sure that this time the firing pin would strike the percussion cap of one of the cartridges. He was sure that this time he would shoot himself. "Sometimes I think I'm turkey," he said to Tigo, surprised that his thoughts had found voice. "I feel that way sometimes, too," Tigo said. "I never told that to nobody," Danny said. "The guys on my club would laugh at me, I ever told them that." "Some things you got to keep to yourself. There ain't nobody you can trust in this world." "There should be somebody you can trust," Danny said. "Hell, you can't tell nothing to your people. They don't understand." Tigo laughed. "That's an old story. But that's the way things are. What're you gonna do?" "Yeah. Still, sometimes I think I'm turkey." "Sure, sure," Tigo said. "It ain't only that, though. Like sometimes... well, don't you wonder what you're doing stomping some guy in the street? Like ... you know what I mean? Like ... who's the guy to you? What you got to beat him up for? 'Cause he messed with somebody else's girl?" Tigo shook his head. "It gets complicated sometimes." "Yeah, but ..." Danny frowned again. "You got to stick with the club. Don't you?" "Sure, sure ... hell yes." Again, their eyes locked. "Well, here goes." Danny said. He lifted the gun. "It's just ..." He shook his head, and then twirled the cylinder. The cylinder spun, and then stopped. He studied the gun, wondering if one of the cartridges would roar from the barrel when he squeezed the trigger. "I didn't think you was going through with it," Tigo said. "You got heart, Danny," Tigo said. He looked at the gun. He picked it up and broke it open. "What you doing?" Danny asked. "Another cartridge," Tigo said. "Six chambers, three cartridges. That makes it even money. You game?" "You?" "The boys said... " Tigo stopped talking. "Yeah, I'm game," he added, his voice curiously low. "It's your turn, you know." "I know," Danny watched as Tigo picked up the gun. "You ever been rowboating on the lake?" Tigo looked across the table at Danny, his eyes wide. "Once," he said. "I went with Juana." "Is it ... is it any kicks?" "Yeah. Yeah, its grand kicks. You mean you never been?" "Hey, you got to tryin, man," Tigo said excitedly. "You'll like it. Hey, you try it." "Yeah, I was thinking maybe this Sunday I'd ... " He did not complete the sentence. "My spin," Tigo said wearily. He twirled the cylinder. "Here goes a good man," he said, and he put the revolver to his head and squeezed the trigger. Danny smiled nervously. "No rest for the weary," he said. "But Jesus you've got the heart. I don't know if I can go through with it." Sure, you can," Tigo assured him. "Listen, what's there to be afraid of?" He slid the gun across the table. "We keep this up all night?" Danny asked. "They said ... you know ... "
"Well, it ain't so bad. I mean, hell, we didn't have this operation, we wouldn'ta got a chance to talk, huh?" He grinned feebly. "Yeah," Tigo said, his face splitting in a wide grin. "It ain't been so bad, huh?" "No, it's been ... well, you know, these guys on the club, who can talk to them?" He picked up the gun. "We could ..." Tigo started. "We could say ... well ... like we kept shootin' an' nothing happened, so ..." Tigo shrugged. "What the hell! We can't do this all night, can we?" "Let's make this the last spin. Listen, they don't like it, they can take a flying leap, you know?" "I don't think they'll like it. We're supposed to settle this for the clubs." "Screw the clubs!" Tigo said. "Can't we pick our own ..." The word was hard coming. When it came, his eyes did not leave Danny's face. "... friends?" "Sure we can," Danny said vehemently. "Sure we can! Why not?" "The last spin," Tigo said. "Come on, the last spin." "Gone," Danny said. "Hey you know, I'm glad they got this idea. You know that? I'm actually glad!" He twirled the cylinder. "Look, you want to go on the lake this Sunday? I mean with your girl and mine? We could get two boats. Or even one if you want." "Yeah, one boat," Tigo Said. "Hey, your girl'll like Juana, I mean it. She's a swell chick." The cylinder stopped. Danny put the gun to his head quickly. "Here's to Sunday," he said. He grinned at Tigo, and Tigo grinned back, and then Danny fired. The explosion rocked the small basement room, ripping away half of Danny's head, shattering his face. A small cry escaped Tigo's throat, and a look of incredulous shock knifed his eyes. Then he put his head on the table and began weeping. Add The Last Spin to your own personal library.